Lemon laws are state laws which give rights to purchasers of new vehicles if they find that they have bought a car with a defect that cannot be fixed in a timely fashion by the dealer or the manufacturer. The first lemon law was the results of the efforts of a great California consumer advocate, Rosemary Shahan. Every states lemon law is somewhat different but they all have a lot in common and are aimed at the same result. Most car buyers have misconceptions of the lemon law. These are some the most common ones: The car owners think they are going against their car dealer when they are really going against their car’s manufacturer. If you prevail it costs the car dealer nothing. The manufacturer pays. The law applies only to cars purchased as new, not used. If you win a lemon law dispute, the manufacturer or dealer does not simply replace your car with a brand new on. The amount of credit you win toward a replacement vehicle is arrived at by deducting a charge for the usage of your lemon car based on time and mileage. The complete lemon law process is a difficult and time consuming task for all concerned…you, the car dealer, and the manufacturer. It’s difficult for you because the law requires specific and extensive documentation. You must have allowed your dealer to try to fix the problem at least three times and you must have detailed written documentation of this. You must be sure that your complaint is clearly spelled out by the dealer on your repair order and that his failure to fix it is also a matter of written record. After three times, you must notify the manufacturer by certified letter that you are invoking the lemon law. Now the manufacturer has one last chance to fix your car. At this time, the manufacturer may take your car to another dealer who he feels is more competent in repairing your car. If the fourth attempt to fix your car fails, your case is assigned to a board of arbitrators. Their ruling is final. This entire process usually takes a very long time. A time of several months is not uncommon. Meanwhile, you’re saddled with a car that has a problem nobody can fix. When you formally invoke the lemon law with your certified letter, you sever all communications with the manufacturer other than formal, legal communications as dictated by the law. The manufacturer considers you a legal adversary and their attorneys consider anything they say to you as something that can be used against them in the arbitration. At this point they are legally barred from fixing your car or talking to you about fixing your car. 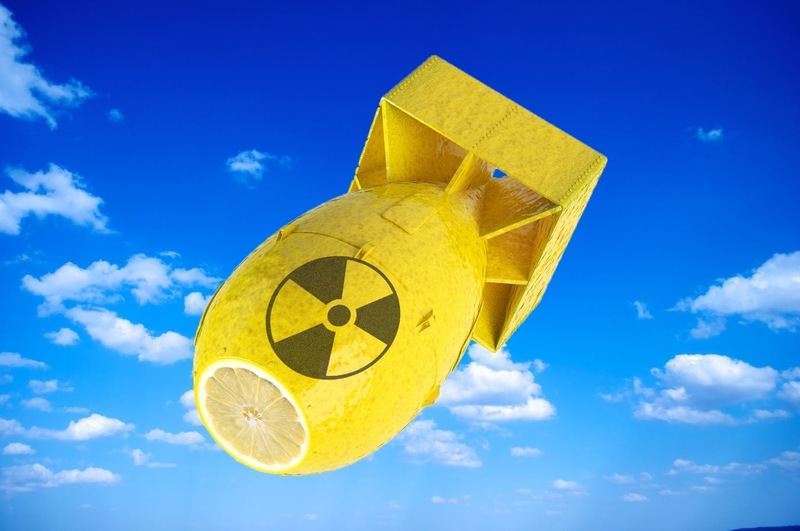 All of the above is why I advise that you use the lemon law only as a last resort…the nuclear option. Put emotion aside and focus on what your purpose should be which is to have a car that you can drive without the problem that has been driving your crazy since you bought it. Your priority should not be to punish the dealer because as I already said, he suffers nothing from your winning a lemon law decision. You are punishing the manufacturer to some extent, but this is “business as usual” to all manufacturers who fight (and usually win) thousands of lemon laws annually. What I’m suggesting is that you might want to consider giving the dealer and manufacturer a little more time to fix your car after the first three attempts. If they look like they are sincere and trying hard, it could save you a lot of time driving your broken car (not to mention the mental anguish) compared to waiting months for the lemon law process to work itself out. I’m not saying that you shouldn’t tell the dealer and manufacturer that you will invoke the lemon law if you have no other choice. You definitely should do that. You should let both the dealer and the manufacturer know in no uncertain terms that you have meticulous documentation of their failed efforts to fix your car, you have familiarized yourself completely with the specifics of your state’s lemon law, and you will not hesitate to invoke it if you are left no other choice. This will instill a sense of urgency to fix your car ASAP if it’s within their abilities. The reason is the dealer and the manufacturer want to keep you as a customer. In fact, the dealer may stretch to give you a better deal on a new car to replace yours than you would ever otherwise have gotten. He can’t do that once the lemon law has been invoked because he would be trading in a “lemon”. A “legal lemon” has the same stigma as a flood car or totaled car that has been rebuilt. The manufacturer not only wants to keep you as a customer but wants to avoid the cost of arbitration (the manufacturer is responsible for all of the costs), the cost of disposing of a lemon, and the cost of the damage to their reputation by chalking up another lemon laws loss in the record books. For more information about the lemon law, Florida residents can call the lemon law hotline,800 321-5366 or you can click this link: http://www.myfloridalegal.com/lemonlaw.